Albania is a small country that has suffered many hardships for several decades. Nearly 4 decades of Communist government and the war in Yugoslavia stretched to the people and infrastructure to its limits. Although Albania is still one of the poorest countries in Europe, Albania is now beginning to develop. Albania’s economy is growing slowly and tourists are increasingly coming to Albania as it begins to increasingly open borders and ports. Below is practical, useful and accessible Albania information to all the tourists wishing to travel to Albania. During the past decade Albania has been in general terms a safe country to visit. The area of northern Albania near the region of Kosovo is still one of the places that tourists going to Albania should avoid because, although the fighting has stopped, tourist services are alnst nonexistent and the quality of the roads is incredibly poor .Albania’s public safety is good but the tourists have to remember that crime and violence are still common in Albania. However, from April 2008 to March 2009, nearly 60,000 British tourists were visiting Albania and most of the visits went smoothly. No death was found in these visits to Albania, only a few minor incidents requiring consular assistance were found in Albania. Since November 2008 there is no entrance fee for Albania. 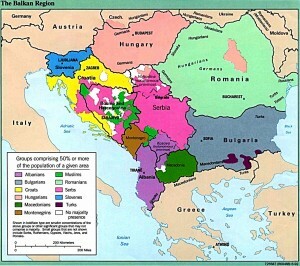 The official language is Albanian, but the Greek is also spoken in many areas. English is usually understood, but is spoken in some hotels and restaurants only. The electricity in Albania is 220 volts, 50Hz. Albania has a total area of 28.748 km2 (11.100 sq mi). Albania shares 172 km (107 mi) border with Montenegro to the northwest, 115 km (71 mi) border with Kosovo to the northeast, 151 km (94 mi) border with Macedonia to the north and east, and 282 kilometers (175 my ) border with Greece to the south and southeast. The coastline of Albania has an area of 487 km (303 mi). The western lowlands are located on the Adriatic coast and the Strait of Otranto which is strategically very important for Albania. Albania has a coastline on the Adriatic Sea and Ionian Sea. Hepatitis levels stay high in Albania. Rabies in Albania is also a slight concern because of the number of abandoned dogs. Lately were reported cases of rabies, but it was in 1978. Hospitals in Albania are free of charge and foreigners can also be treated for free. The level of medical care in Albania can be considered adequate to poor. In the Albanian capital Tirana is where health care in Albania is more sophisticated.Outside the main cities of Albania, the level decreases. Make sure you have adequate health coverage from your own country before the entry into Albania. Consider the possibility of being transported outside the country for the treatment of high complexity when you buy your medical coverage to visit Albania. In Tirana and major cities of Albania, most credit and debit cards are accepted without problems. There are also money exchange houses that will change pounds, euros and U.S. dollars easily. It is recommended to carry some cash, especially traveling to cities and smaller towns of Albania. Albania also has a problem with credit card fraud, then using the cash will be protected from this problem in Albania. Albania Visitors may notice several independent money changers offering incredibly good rates, but these can cheat you in Albania. Many tourists come to Albania by the slow and relaxed pace of life. Albanians tend to be very friendly and they always welcome its visitors.Just remember that the pace of life in Albania could not be equal to what you’re used to. Keywords: information useful in Albania. Money in Albania. Health in Albania. Money Albania. People of Albania. 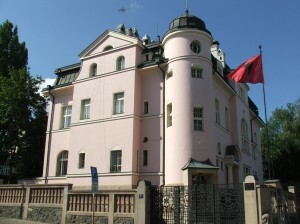 Embassy of Albania in the world. Visa for Albania. How to get Visa to Albania. Albania surface. Geography of Albania. Population of Albania. Inhabitants of Albania.